Remember when I sung the praises of Elizabeth Barbone’s gluten-free column at Serious Eats and told you I’d report back with other special finds? 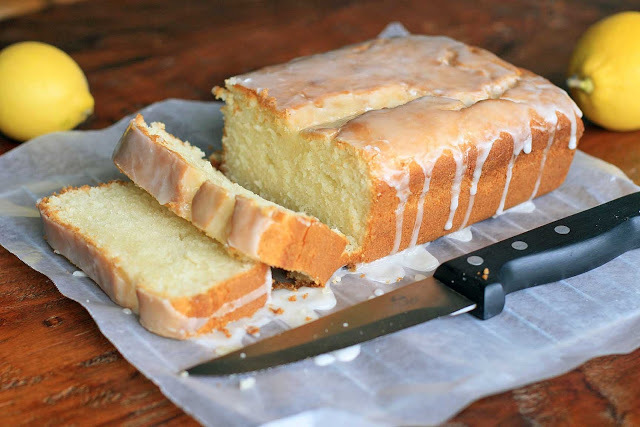 As it turns out, I’d already pinned her buttermilk cake recipe on my kitchen inspiration board over on Pinterest. I took that as a sign that this was the recipe to try next. 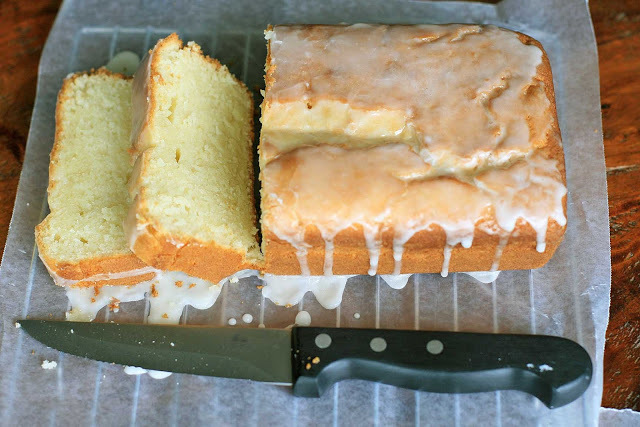 Once again, I couldn’t leave well enough alone and adapted it to use Meyer lemons for the glaze and one of my preferred flour and starch combinations. Much like those gluten-free chocolate cupcakes, this bread turned out really well. 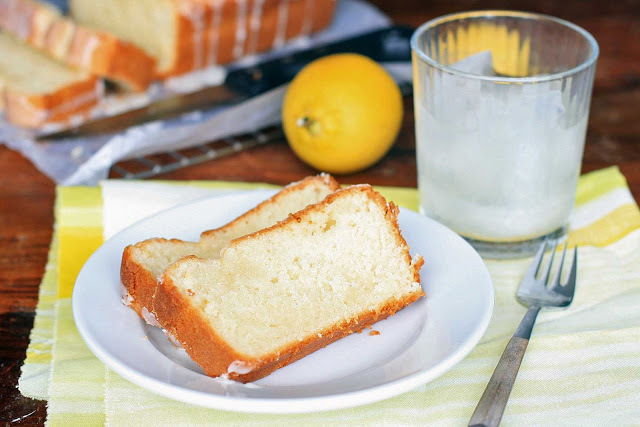 Dense and moist, with a hint of pucker from the Meyer lemon glaze, this is a perfect cake for spring. Have it in the afternoon with a cup of tea or first thing in the morning (I won’t judge). I might have to pull a Cate and Elizabeth (à la Julie and Julia) and bake my way through her column. I also need to put her blog, Gluten-Free Baking on my blogroll stat. 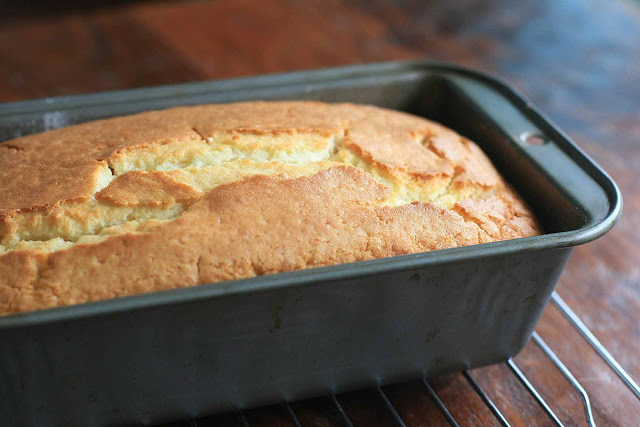 Preheat oven to 350 degrees and grease a loaf pan and dust generously with rice flour. In a medium bowl, combine the rice flour, potato starch, tapioca starch, baking powder, salt and xanthan gum. Mix to combine and set aside. In a large bowl cream the butter and sugar for 2 minutes. Add the eggs, one at a time. Alternate adding the flour mixture with the buttermilk, mixing well to combine after each addition. Stir in the vanilla extract. Pour the batter into the prepared pan and bake for about 45 minutes, or until a knife inserted in the center comes out clean. Remove and let cool on a wire rack for 5 minutes. Turn out the loaf from the pan onto the wire rack and let cool completely. Prepare the glaze by whisking together the Meyer lemon juice and the powdered sugar. Place the loaf on a piece of wax paper and drizzle or brush the glaze over the top, allowing the glaze to drip down the sides.